The Way We Were. A conversation with Former NH State Rep V. Michael Hutchings (R, Plymouth NH 1983-1986) (Part 1). V. Michael Hutchings served as a Republican State Representative in the NH House from 1983-1986. He has a special place in his heart for New Hampshire's political system and is a fierce advocate of our democracy and a life long observer of the political scene and its historic context. What most people know about the Shakers could be summed up in a few words: cool furniture, practiced celibacy. But there is a world of interesting things about the Shaker people waiting to be explored for those who have an interest. Yes the Shaker’s were extraordinary craftsmen creating everything from simple and beautiful furniture to basketry and weavings. But they were also inventors, scientists, philosophers, civil libertarians, abolitionists, songwriters and much, much, more. Did you know that the Shakers invented the washing machine? The circular saw? The clothespin? Did you know that they were horticultural pioneers, developing hundreds of new species of plants and herbs through genetic cross breeding? Did you know that they created hundreds of other time saving devices and have even been credited with developing mass production before Henry Ford made it world-famous? Darryl Thompson grew up among the last of the Shakers more as a accident of birth than anything else, his father Bud Thompson, who you will hear about in a future podcast, was the founder of the Shaker Museum in Canterbury, New Hampshire. However, accident of birth or not, Darryl has become one of the foremost Shaker experts in the US, helping to keep the Shaker legacy alive through his work. The Shakers are considered to be an offshoot of the Quakers. The sect originated in Manchester, England in around 1772. Strict believers in celibacy, Shakers maintained their numbers through conversion and adoption. Once boasting over six thousand adherents, today the Shakers, with the exception of a small contingent of people living in Sabbathday Lake, Maine, are but a memory. Originally and properly called the United Society of Believers in Christ’s Second Appearing, the Shakers, like the “Yankee Doodles” of the same era, derived their common name from a pejorative appellation adopted by the group as a source of pride. Under the leadership of James and Jane Wardley, a husband and wife team; and, most notably, by Mother Ann Lee, the group became known for their intense, ecstatic worship including shaking or quaking during religious activities and at times speaking in “tongues” - both of which were considered signs of divine intervention and inspiration. Today in New Hampshire the Shaker life and legacy and heritage remains alive through the work of the Canterbury Shaker Village. Founded in 1969 to preserve the heritage of the Canterbury Shakers, Canterbury Shaker Village is an internationally renowned, non-profit museum and historic site with 25 original Shaker buildings, including the only intact, first-generation 18th-century Meetinghouse and Dwelling House, both on their original sites. There are also three reconstructed Shaker buildings and 694 acres of forests, fields, gardens and mill ponds under permanent conservation easement. If you visit the village and you are very fortunate, you may find Darryl Thompson leading your tour a rare treat. Designated a National Historic Landmark for its architectural beauty, integrity and significance, Canterbury Shaker Village is dedicated to preserving the 200-year legacy of the Canterbury Shakers and to providing a place for learning, reflection and renewal of the human spirit. Visitors learn about the life, ideals, values and legacy of the Canterbury Shakers through tours, programs, exhibits, research and publications. In addition to the daily tours, during the course of the year, the Village sponsors many community events that draw local folks and visitor from far and wide. For example the annual “Wool Day Festival” at the Shaker Village takes place this year on September 23. 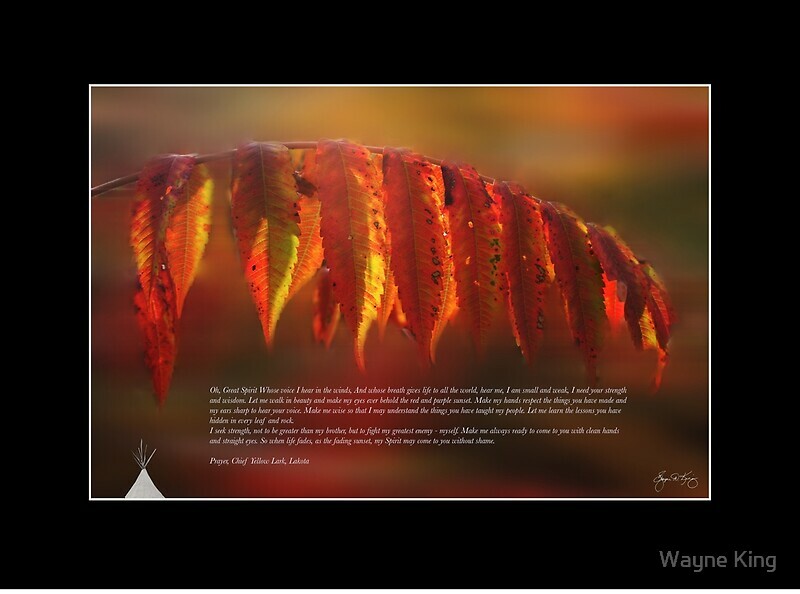 We detail it in the “50 Autumn Adventures” story elsewhere in this issue. Canterbury Shaker Village is a treat for the heart, soul and palate. If you haven’t yet been, it should be on your list. If you have been, it may be time to recharge your spirit with another visit. Darryl is, among other things, a guest lecturer for the NH Humanities Council. Learn more about his lecture series here. I remember as if it were yesterday, though at least 45 years have passed. Warm spring Sundays, filled with the hope that spring always brings. Sun shining on my face as I left church and greeted Uncle Harry at the door. Uncle Harry was a deacon in our church and he wasn't my uncle - he was everyone's uncle. 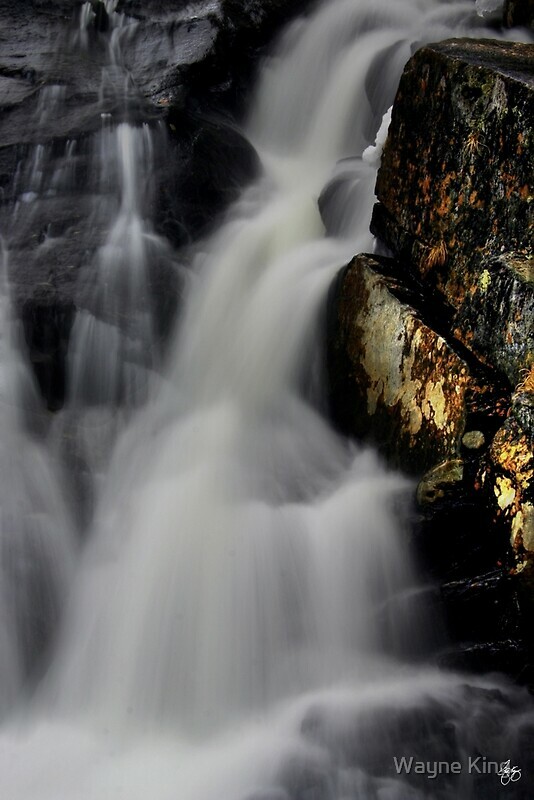 His kindly face, worn with the seasons of a Yankee native's life, would beam as he leaned down to remind me of the sugaring off party at his sugarhouse that afternoon and called me "dear" in that rich North Country accent that resonates still in my brain. Read the full piece here. 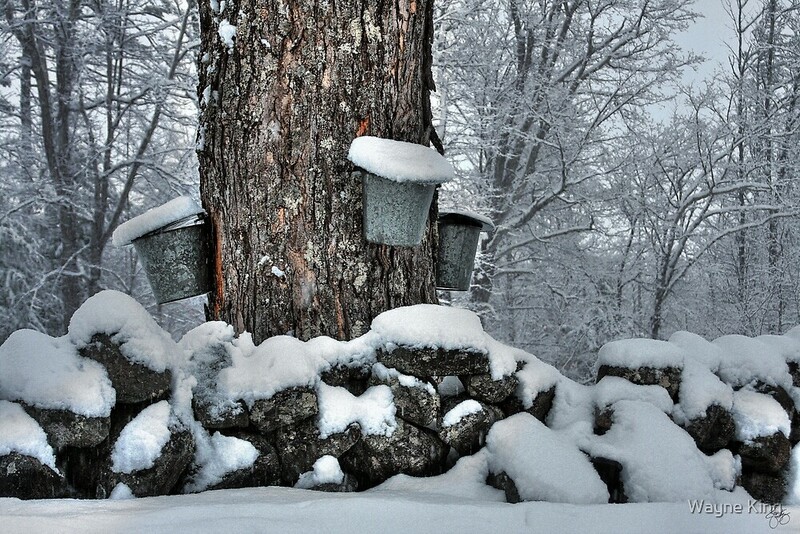 Pure maple syrup is made by boiling down the slightly sweet sap of the sugar maple tree. 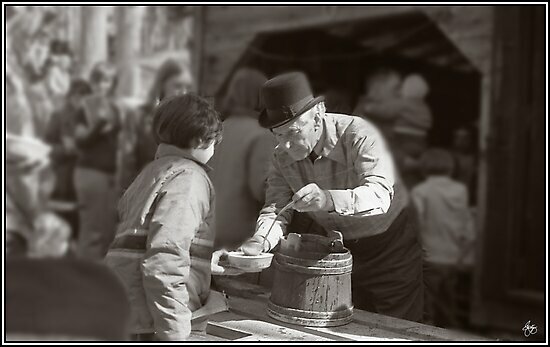 In late February or early March, syrup producers (called sugarmakers) prepare for their annual harvest of the maple sap. 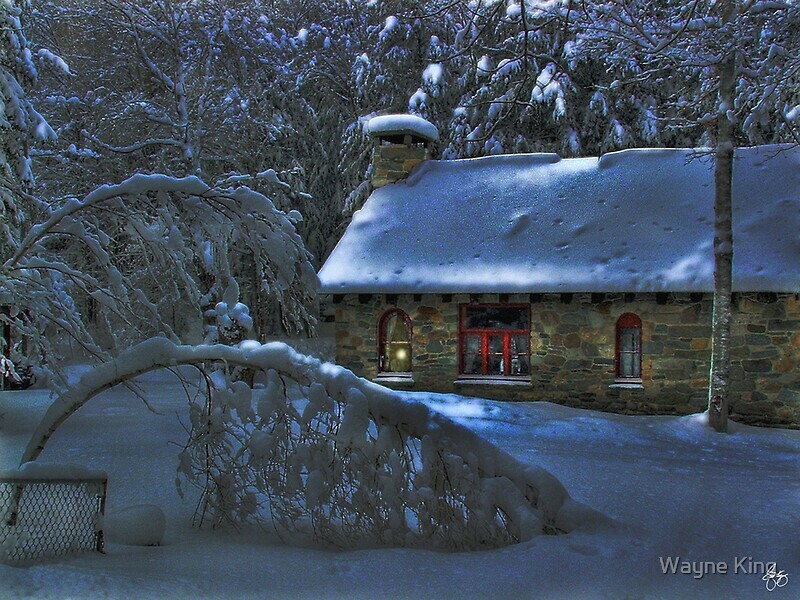 The sugarmaker prepares his sugarbush (maple orchard) by clearing access roads in the snow, removing fallen branches, and setting up his buckets or sap tubing systems. Whether they use tubing or buckets, commercial sugarmakers must be sure that all their sap gathering, collecting, evaporating and bottling equipment is absolutely clean and in good condition before the beginning of the season. You could do it in your backyard without the careful preparation, but those who provide it for our tables must meet very strict codes created by the United States Department of Agriculture. Help me keep this podcast advertiser free by making a donation or becoming a subscriber to the podcast. Click here. Few New Hampshire citizen’s played a more unique and controversial role in the pre-revolutionary period of what would come to be The United States of America than Robert Rogers. Robert Rogers, or Rodgers (7 November 1731 – 18 May 1795), was a New Hampshire resident and colonial frontiersman. Born in November of 1781 in Methuen, Mass, his family soon moved north to what is now New Hampshire settling in a town Roger's refers to in his writings as Mountalona and today encompassing the towns of Dunbarton and Bow. His service to the people of New England, particularly in the war known in the colonies as the French & Indian War (in Europe the Seven Years War) is well documented and a study in the fame and controversy that surrounded this remarkable man. At only 14 years of age he became a member of the militia in King George’s War (1744–1748). Many military historians attribute the seeds of the American Revolution’s success to the ideology, tactics and strategies of the famed Roger's Rangers, started under his leadership. Indeed, one of his favored rangers was John Stark who would later set aside his "Ranger temperament" to become a General in the Colonial Army and utter the famed phrase "Live Free or Die" in the heat of battle. Legend has it - though no documented evidence exists - that, after a brief stint in England where he was feted as a British hero of the frontier, Rogers returned to America and offered his services to George Washington who turned him down for fear that he was a loyalist spy. Rogers, perhaps in spite, or perhaps simply because he knew no other life than that of frontiersman, joined the British and fought as a loyalist. We will, likely, never know if Washington was right about Rogers and the legend may, in fact, be nothing more than revisionist history fostered by the likes of the peripatetic historian Francis Parkman who nearly one hundred years after Rogers day, set his sights on rehabilitating Rogers in the eyes of a public that remembered only his final betrayal in his service to the army of King George. Yet, the legend of Washington's actions - true or not - and certainly the work of Parkman, may contain the seeds of Roger's historic rehabilitation. After all, today Rogers is revered as the father of the Rangers and the Green Berets, while his fellow loyalist Benedict Arnold's name has become synonymous with treachery and betrayal. Lest we fall into the Parkman trap of romanticizing the frontiersman, it should be pointed out that Native American’s of the time – with the exception of a small number of Mohicans who served as scouts and fought beside him – referred to him as Wobomagonda, translated to “White Devil” because Rogers and his Rangers could be every bit as ruthless as any of their rivals. The truth about Rogers probably lays somewhere in between. The Rangers may have been pitted by history against the native indigenous people – but they drew much of their strategies, dress and temperament from the very same people and many historic documents evidence their admiration for the bravery, courage and skills of their foes. Today it’s our good fortune to have author and historian Stephen Brumwell speaking with us from his home in Amsterdam. Stephen Brumwell is the author of numerous books including White Devil: A True Story of War, Savagery, and Vengeance in Colonial America about Robert Rogers and his Rangers. Stephen Brumwell is a former newspaper reporter - so he knows well the process for digging up a story and appreciating the nuances of that story. Stephen received his Ph.D. at the University of Leeds. In addition to White Devil his works include: Redcoats: The British Soldier and War in the Americas, 1755-1763, a story about ordinary soldiers who fought the French and Indian War. George Washington: Gentleman Warrior; Paths of Glory: The Life and Death of General James Wolfe; The St Francis Raid: Vengeance and Survival in Colonial America; and his most recent book Turncoat: Benedict Arnold and the Crisis of American Liberty - from Yale University Press; a must read for anyone who wants to truly understand the role of Benedict Arnold in the American Revolution in its broadest sweep. Brumwell also is the author of many journal and magazine articles and a recipient of the Authors’ Foundation Elizabeth Longford Grant. He lectures regularly in the US and the UK. After the Revolution Rogers returned to England where he died unappreciated and impoverished in London - far from his family and the woods and mountains of his native New England that he loved so much. The relationship between humans and dogs likely goes back to a time before we could even communicate with one another. It is, without doubt, the stuff of legend and lore. New Hampshire can claim a special part in that long trail of legend and lore because of one very special dog and the man who loved, raised and trained him; and turned his remarkable traits into a unique breed of working dog. Disney himself could not have created a more powerful story of love between a man and a dog and the achievements spawned by that affection. 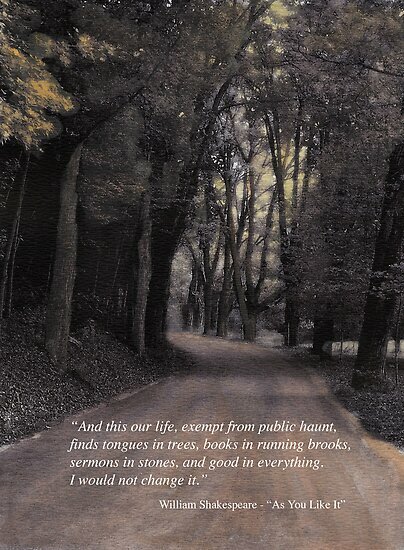 Arthur Treadwell Walden was born on May 10, 1871 in Indianapolis, Indiana to an Episcopal minister named Rev. Treadwell Walden and his wife, Elizabeth Leighton. Walden spent most of his youth in the neighboring state of Minnesota but in 1890 his father was appointed minister of St. Paul's Cathedral in Boston and the family moved to Boston. By now 19 years of age Arthur Walden found that he was not suited for city life and he moved to his father's vacation home beneath the peaks of the Sandwich Range in Tamworth, New Hampshire and more specifically to a beautiful little unincorporated community in the Northwestern corner of Tamworth known as Wonalancet, named for the revered Sachem of the Penobscott Tribe. We’ll talk about Wonalancet in a future podcast along with his father the legendary Passaconnaway. Arthur Walden was a restless adventurous fellow. In March of 1896 Walden heard the call of the wild and headed to the area that would soon be known as the Alaska territory - what we now know as the state of Alaska - only recently purchased from Russia for 2 cents an acre! In August of that year gold was discovered in the neighboring Klondike region of Canada and soon Walden found himself working as a "freighter" carrying supplies and mail down the Yukon River by dogsled. It was at this time that he became experienced with sled dogs that were used to pull freight over vast distances. Just as cowboys who were often referred to as “cow punchers”, the use of sled dogs led to freighters being nicknamed "dog punchers"
Walden lived in the Klondike region for about 5 years before returning to New Hampshire where in 1902 he married Katherine Sleeper, the daughter of a newspaper magnate from Boston. 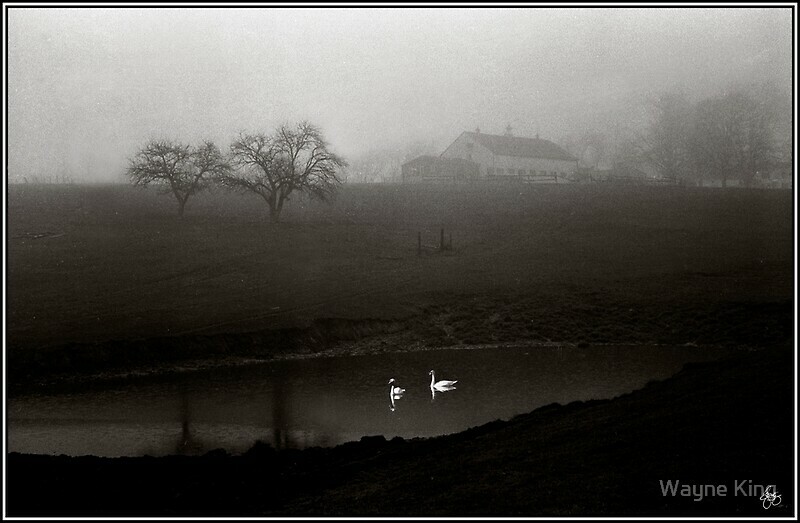 Together the couple operated the 1300-acre Wonalancet Farm and Inn, first purchased by Katherine in 1890. Katherine ran the Inn and Arthur Walden, inspired by his years in the Klondike, began training and breeding sled dogs at the farm. 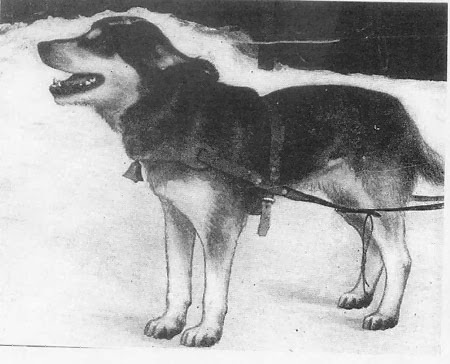 Walden wanted to create a new breed of sled dog that had tremendous power, endurance, speed, and a friendly, gentle nature. Choosing a descendant of Admiral Peary's famous lead dog, Polaris, a Greenland Husky named Ningo, as the Dam to the sire - Kim - a large Mastiff/St. Bernard mixed breed dog. On January 17, 1917, Ningo gave birth to a litter of three pups - dogs that Walden hoped would bring him that special dog. The three pups were named Rikki, Tikki and Tavi after the Mongoose in Kipling's Story of the same name in his acclaimed “Jungle Book”. (More on this later!) 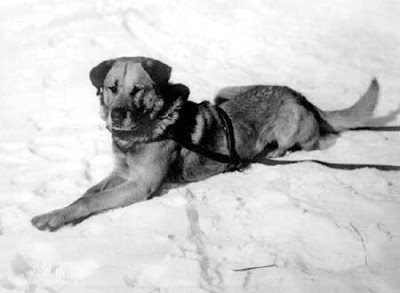 Rikki would be renamed Chinook - after a favorite Eskimo dog Walden had worked with in the Yukon. Chinook has been described as being smooth and tawny, with a black muzzle. He towered above other dogs at the Wonalancet Farm but it was his temperament and his heart that captured the imagination of people across the world. Chinook was truly a gentle giant with the heart of a champion. 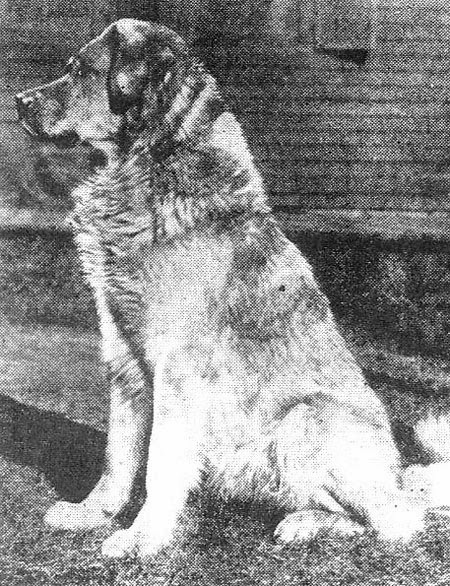 He was soon to become the world's most famous dog of his time and Walden's faithful companion and lead dog as well as the foundation dog for the Chinook breed of dogs recognized today. Until the time of Chinook most dogsleds had been made up of Huskies and Malamutes. Chinook would begin not only a line of dogs that would bear his name but also a trend toward the development of mixed breed lines, especially bred as sled dogs. 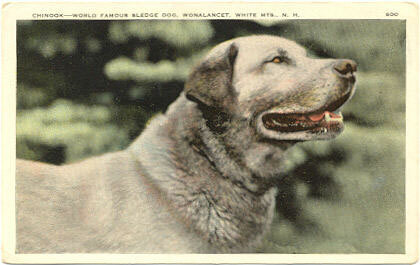 Chinook had intelligence, power, endurance, speed - all things that Walden was looking for in a sled dog. Yet it was not only his prowess before the sled that won the hearts and minds of the public it was also a disposition that was legendary. Chinook was, without doubt, one of history’s greatest lead dogs, but unlike many of the working dogs of his time, he was gentle and friendly. Chinook loved children and the story I’ll share with you toward the end of this podcast – taken from a 1928 yearbook for Camp Mowglis, School of the Open is a testament to the fact that his disposition as well was a part of the mark he would make on history. Together Walden and Chinook carved their way into the history books. Walden is also credited with bringing the sport of sled dog racing to the New Hampshire area; founding the New England Sled Dog Club in 1924, still in existence today. Walden's teams dominated this sled dog racing circuit for many years. With Chinook in lead, Walden and his dog sled team were the first to successfully ascend Mount Washington in the winter of 1926. Legend has it that Walden was a bit of a showman when it came to his dogs. 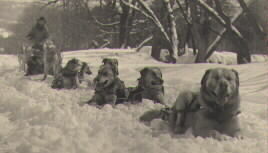 It is said that he liked to demonstrate the capabilities of Chinook and his dog teams by sending them - with Chinook in the lead - out into the field beside his home, pulling a sled without a driver. Walden would put the team through their paces by simply calling out the “Gee” and “Haw” (left and right) commands of a driver through a megaphone from the comfort of a rocker on his porch. In fact it may have been just such a demonstration that convinced Admiral Byrd to hire him for the historic 1929 expedition in the early days of 1927. After all Walden was 58 years old when the expedition took place - by far the oldest (human) member of the expedition and perhaps the one member with the most difficult job – carrying rations to sustain the rest of the team. When Byrd offered Walden the job he did not immediately accept. Instead he extracted a promise from Byrd that no dog would be killed on the trip in order to save on supplies - as had been the practice in earlier expeditions. Byrd accepted his conditions and the two men shook hands in a deal that would make history. "Had it not been for the dogs, our attempts to conquer the Antarctic . . . must have ended in failure. On January 17th, Walden's single team of thirteen dogs moved 3,500 pounds of supplies from ship to base, a distance of 16 miles each trip, in two journeys. Walden's team was the backbone of our transport. 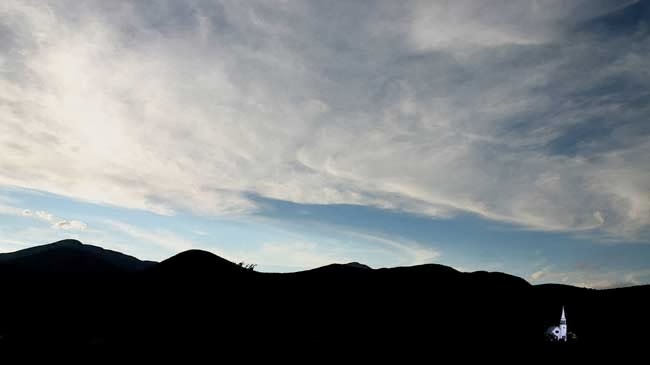 Seeing him rush his heavy loads along the trail, outstripping the younger men, it was difficult to believe that he was an old man. . . . but he had the determination and strength of youth.)”. Chinook himself was no spring chicken. At almost 12 years – he was the equivalent of an 87 year old human – so to Chinook went the real honor as the eldest member of the expedition party. Walden, Chinook, and Byrd, of course, were the modern day equivalent of rock stars. Newspapers and radio stations the world over followed the news of their adventure. So it was with great sadness that the news spread around the world that on Chinook's twelfth birthday, he wandered away and was never found. Walden was devastated, he had lost his best friend. One member of the expedition quoted Walden as saying “I wish I was half as good a man as he was a dog.” Later in the Podcast you'll see why he was wrong about this - but in any case - their story would pass down through the ages. As for Chinook, his lineage, so carefully developed by Walden, carries on in the breed that now bears his name. His loss was mourned around the world and the NH Legislature paid tribute to one of the greatest lead dogs in history by naming Route 113A from Tamworth to Wonalancet, New Hampshire ‘The Chinook Trail' in his memory. The breed would eventually be named the official state dog of New Hampshire. You may recall that the three pups born to Ningo in 1917 were names for a character in the Jungle Book by Rudyard Kipling. It's also quite possible that the sire of those pups - named Kim - was taken from another story by Kipling. While there is no evidence that Walden knew Kipling personally, though Kipling was living in Vermont at the time and it is quite possible that they met at some point, there is, however, ample evidence of a Kipling connection and we'll explore that when we return to this podcast featuring Arthur Walden and the famed Sled dog Chinook. Now I need to explain something here before I delve into the connection between Kipling and Walden because you are going to hear a pronunciation of the name of Kipling's famed Jungle boy differently here than the many Hollywood versions have used. That is because Kipling himself provided both the pronunciation and information about how to pluralize the name to Elizabeth Ford Holt - the founder of Camp Mowglis - back in 1903 when she wrote to him to ask his permission to use the characters and story line of the books as the theme for her new camp. Kipling wrote back with his blessing and said that the word Mowgli was pronounced "Mow as in cow and to pluralize the name (as in multiple boys) one would add an s but not pronounce it." Clearly no one ever explained this to the folks at Disney and so the mispronunciation carries on despite the best efforts of those who have tried to set the record straight. After the death of Elizabeth Ford Holt the camp was taken over by her assistant Colonel Alcott Farrar Elwell. Elwell continued to correspond with Kipling until the authors death in 1936. As it turns out the connection between Kipling and Walden had one degree of separation. . . Colonel Alcott Farrar Elwell. 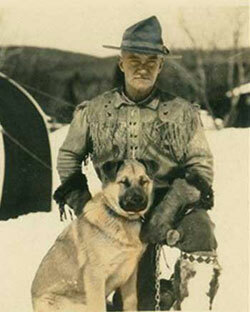 Elwell had come to be friends with Arthur Walden (1871-1947) through Walden's work providing sled dogs to the Army’s Search and Rescue teams during World War I. 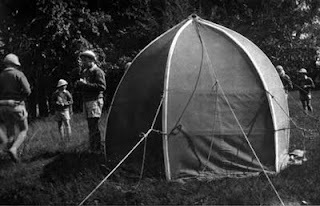 The visit of the Mowglis boys, at the invitation of Walden, was aimed to make them a small part of one of the greatest adventures in recent history - The Admiral Byrd Antarctic Expedition. In the summer of 1928 Colonel and Mrs. Elwell along with assistant director J. Tyson Stokes, took a group of thirty boys from the camp on the shores of Newfound Lake to the Walden Farm in Wonalancet. While today only a 60 minute trip, in 1928 this was not quite so easy. Accounts of the trip suggest that the boys and staff were on the road for about 3-4 hours each way. The boys would get to meet the more than 100 dogs being trained for the Expedition including Chinook. The Mowglis boys would have known of Chinook in 1928 through many magazine and newspaper articles that had already made the dog and the kennels famous. During their visit, the boys were able to watch, and by some accounts help, with the process of raw-hiding some of the 28 sleds that would be used on the expedition. They also had the opportunity to play with Chinook, who from all accounts reveled in the chance to have a little fun with the boys of Mowglis. 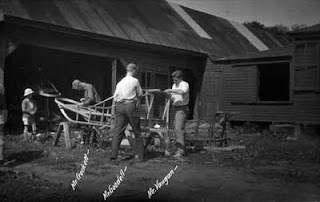 The 1928 issue of the "Mowglis Howl", Mowglis annual yearbook contains a photograph of the sleds being worked on by 4 members of the expedition: Walden, as well as three members of his crew Fred Crockett, Edward Goodale and Norman Vaughn (often referred to as the Three Musketeers). It also contains an “autograph” from Chinook. 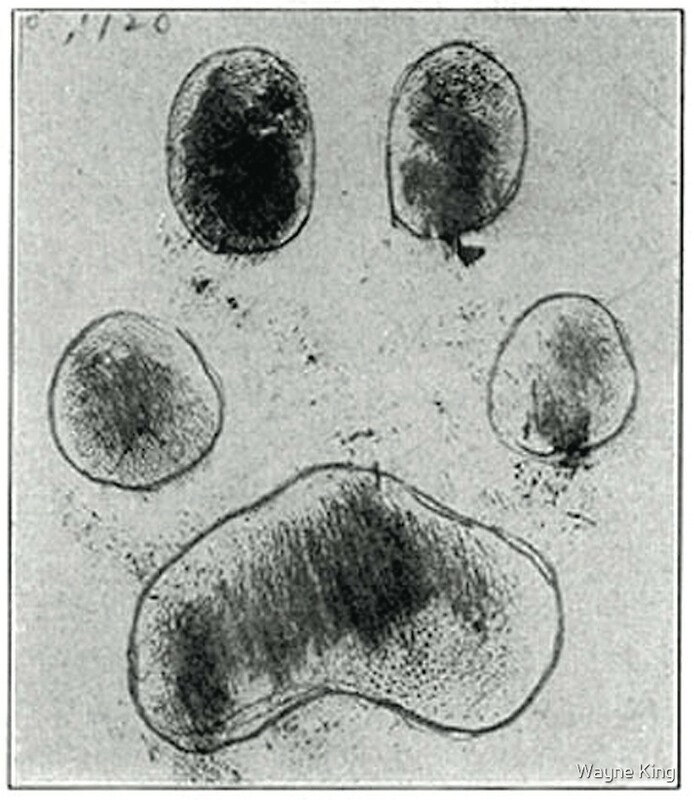 A paw print especially taken for Mowglis in July 1928. 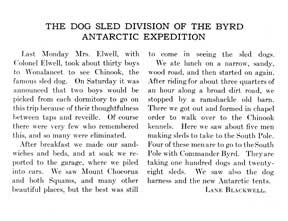 Excerpts from the Mowglis Yearbook "The Howl"
The transformative sled dog Chinook was Admiral Byrd's lead dog in his 1929 Antarctic expedition. at 11 years old he was the old man of the expedition. According to Byrd “He [Chinook] was old when brought to the Antarctic, too old for hard, continuous labor, and Walden used him as a kind of “shock troop,” throwing him onto a team when the going turned very hard. Then the gallant heart of the old dog would rise above the years and pull with the glorious strength of a three-year-old.” This copy of his autograph was created by placing his paw in a can of cold ashes and then transferring his paw print to paper. The original has been lost to history but this copy remains. As for Chinook, his lineage carried on in the breed that now bears his name. In 1930 The NH Legislature paid tribute to one of the greatest lead dogs in history by naming New Hampshire Route 113A from Tamworth to Wonalancet ‘The Chinook Trail’ in his memory. David Concannon is an attorney and explorer with nearly 40 years of experience as a scuba diver and over 25 years as a trial lawyer in courtrooms around the United States. David has lost only one trial in his legal career, his first, and he didn’t like it. He has not lost another trial since 1995. David has spent a lifetime in and under the water. He started diving at the age of 14, first in a lake in New Hampshire, then in mud holes in western Pennsylvania, before graduating to the ocean and becoming a “New Jersey wreck diver” in the late 1980s. He explored lots of shipwrecks, but he never saw a fish from more than six inches away until he found his way to the Caymans in 1993. Since then, he has dived in clear water all over the world. An avid explorer, David has sailed the Beagle Channel, climbed Mt. Kilimanjaro, dived 16,000 feet deep in the Bermuda Triangle, recovered artifacts from the Titanic, and led the expeditions that found and recovered the Apollo F-1 engines that launched men to the moon. He regularly advises clients on “the business of exploration” through his company, Explorer Consulting, LLC. David is an expert in the legal issues affecting exploration, diving and technical diving. He has served as legal counsel to private salvors, scientists, governments, filmmakers, training agencies, explorers and equipment manufacturers. He has been General Counsel to a number of organizations, including The Explorers Club, X-Prize Foundation, Professional Shipwreck Explorers Association, Anglo-Danish Maritime Archaeology Team, Academy of Underwater Arts & Sciences, and the Rebreather Education & Safety Association. David’s law firm, Concannon & Charles, represents clients throughout the diving industry. Oh and by the way, do you remember when a devastated Arthur Walden lamented that he “wished that he was half as good a man as Chinook was a dog”? He may have been wrong about that. On March 26, 1947 the farmhouse in which Arthur Walden and his wife were living in Wonalancet caught fire. Walden rescued his wife, Katherine, from the burning building but was overcome by smoke, sacrificing his own life to save that of his other love. 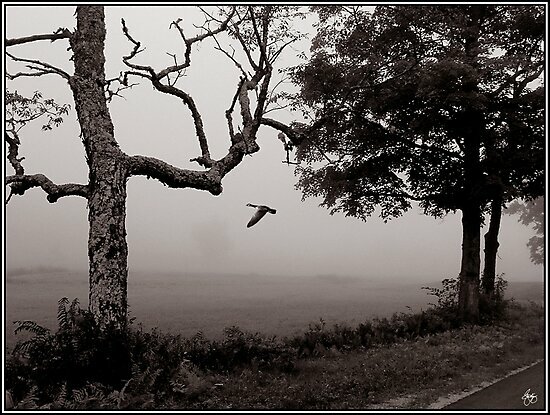 "Airborne in a Butternut Mist"